for his efforts and salary for having dragged and then hanged at the [place of] Justice in Falaise a sow of approximately three years of age who had eaten the face of the child of Jonnet le Macon, who was in his crib & who was approximately three months old, in such a way that the said infant died from [the injuries], and [an additional] ten s. tournoise for a new glove when the Hangman performed the said execution: this receipt is given to Regnaud Rigaut, Vicomte de Falaise; the Hangman declares that he is well satisfied with this sum and that he makes no further claims on the King our Sire and the said Vicomte. From this tiny kernel of primary documentation — the only primary source that exists — an impressive legend has grown up around the “Sow of Falaise”. 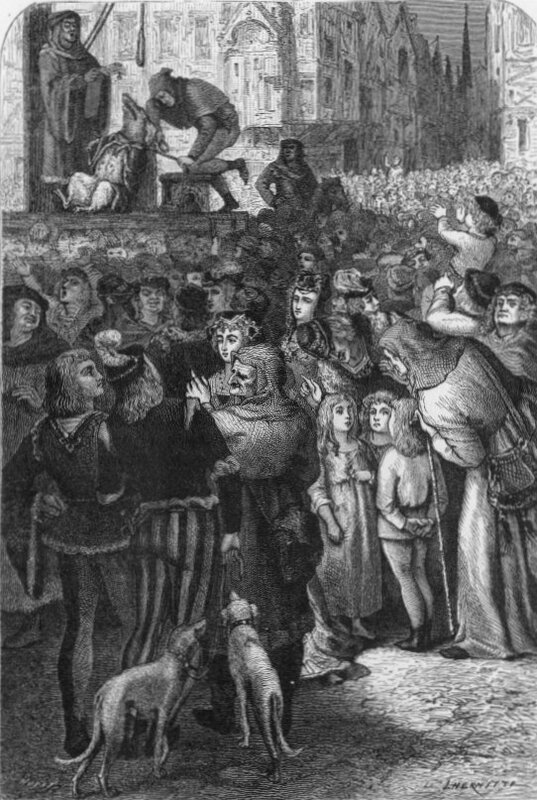 It’s been alleged by subsequent interlocuters that the condemned sow was dressed up as a person for execution, that other pigs were made to attend in order to take warning by their swinish sister’s fate, and even that the incident became so famous as to merit depiction in a church fresco. The supposed fresco has been whitewashed, but Arthur Mangin’s L’Homme et la Bete (1872) took a stab at reconstructing it. This bizarre scenario can’t help but raise the question for we later observers — just what was the objective in trying and “executing” a farm animal? Did the human supporting cast to this scene not feel itself ridiculous? Scene from The Hour of the Pig. 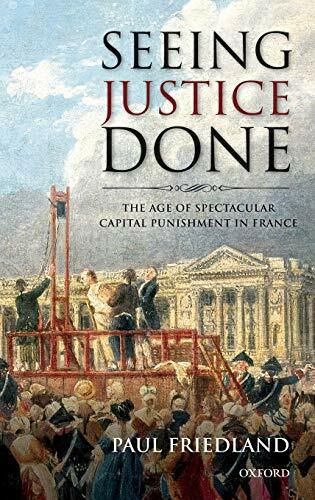 According to Paul Friedland‘s research for his fascinating recent survey of public executions, Seeing Justice Done: The Age of Spectacular Capital Punishment in France, the subsequent embroideries around the Sow of Falaise have no basis in fact. 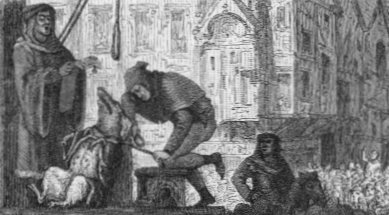 They were simply made up … or rather, they were interpolations of authors who were baffled as we to see a sow hoisted on a gibbet. “Punishment may be about many things, but in the last instance, we citizens of the modern world have an almost visceral need to believe that it is primarily about one thing: deterrence,” Friedland opines. Well, the past is a foreign country. They do things differently there. Seeing Justice Done situates that murderous pig within an unfolding saga of penal theory and practice stretching from the Roman Empire to the 20th century. And while Friedland’s study focuses on France in particular, the historical threads he teases out will look familiar much further afield. Trouble seeing the podcast player? Access the interview on podbean.